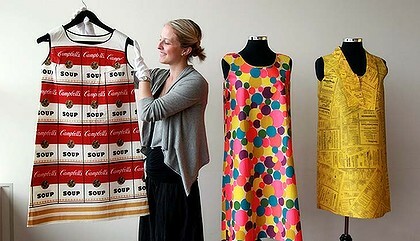 Chadstone shopping center is hosting a fun exhibition of paper dresses until June 5th, including a coveted campbells "souper"! The collection has a strong focus on 1960's pieces, but incorporates 18th and 19th-century Japanese and Chinese hand painted kimonos and paper sandals, too. Definitely worth checking out.